The nutritional value of fish is hard to deny – they are full of protein, minerals and vitamins and are a part of a well-balanced diet. However, fish and crabs can harbor contaminants such as mercury, PCBs and dioxin. Scientists have performed numerous studies on the presence of these chemicals in fish and have developed the “Fish Smart Eat Smart” guide. This guide provides consumption advisories for fish and crabs found in the state. 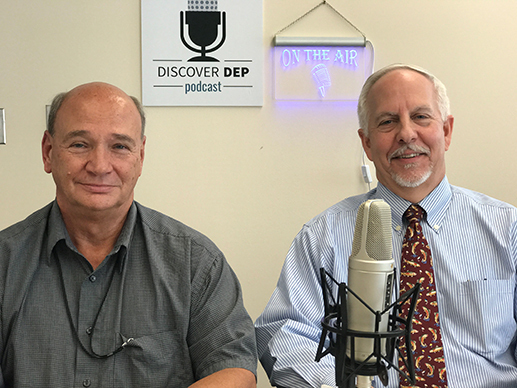 Gary Buchanan, Director of the Division of Science, Research and Environmental Health, and Bruce Ruppel, Environmental Specialist, sat down with Bob Bostock to discuss the extensive work that went into the creation of this guide and the recommendations that it provides.